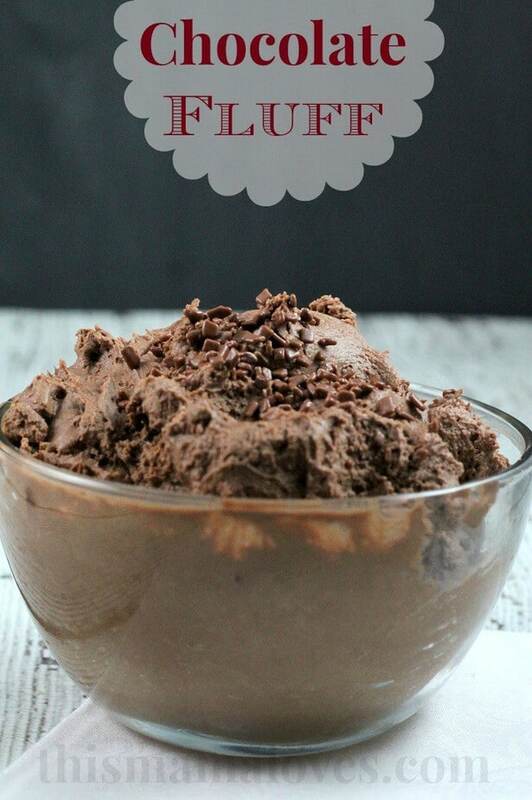 It doesn’t get much easier than this super simple and just 2 ingredient chocolate fluff recipe. 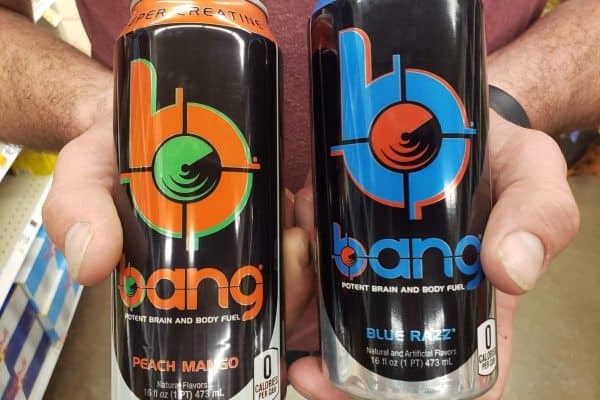 2 ingredients? One of them is chocolate? Score! I love simple recipes and this one takes the cake for simplicity. 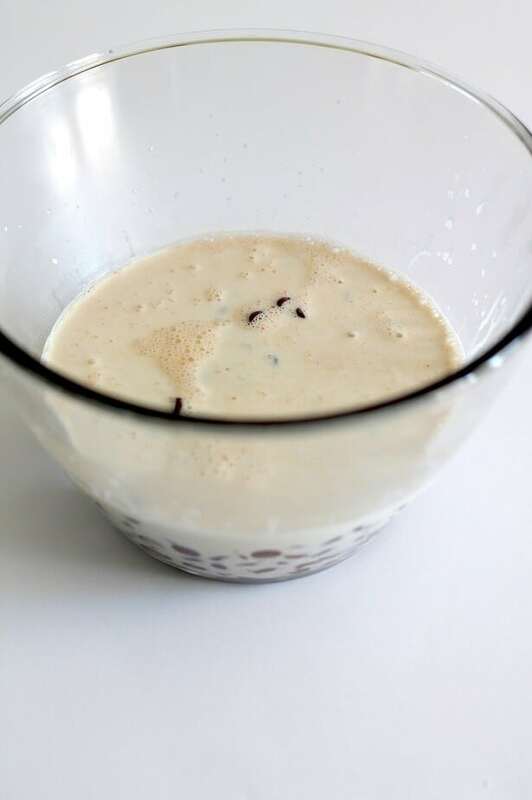 Chocolate chips and whipping cream team up to bring you this light, fluffy and chocolately deliciousness. My family loves this- it’s like a really really really light, fluffy pudding almost, or like eating a chocolate cloud. Whatever you compare it to, it’s chocolate and YUM. 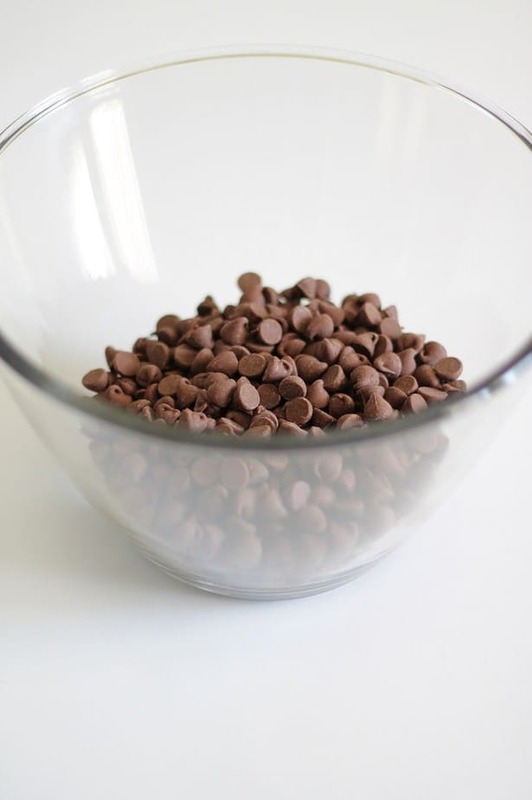 In a mixing bowl add chocolate chips and set aside. In a sauce pan over medium low heat, heat whipping cream to a simmer then remove from heat. 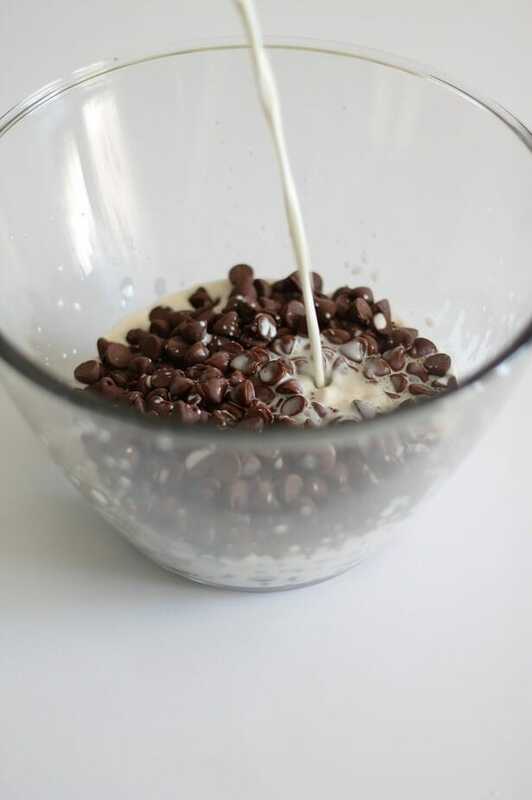 Pour heated whipping cream over chocolate chips and allow to set for 2-3 minutes. Whisk together whipping cream and chocolate until smooth. 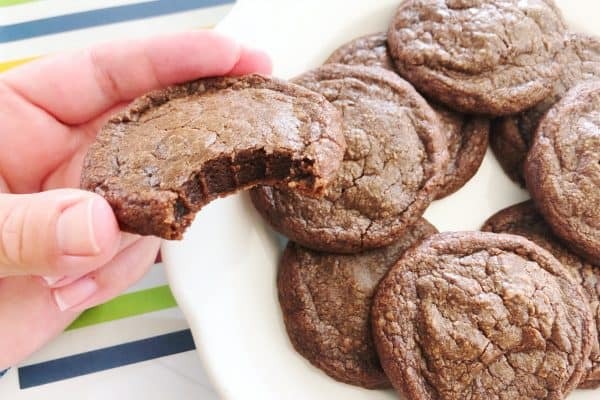 Remove from refrigerator, using a hand mixer or stand mixer beat on medium until light and fluffy. Cover and refrigerate for 1 hour before serving. Serves 4. Check out my friend Lolli’s Classic Lemon Bars and Val’s Sausage and Cheese Egg Rolls and come link up your own recipe or find new ones to try! I assume you can use either mik or semi-sweet chocolate chips? Hi, I tried to make this recipe today and it really didn’t work out. 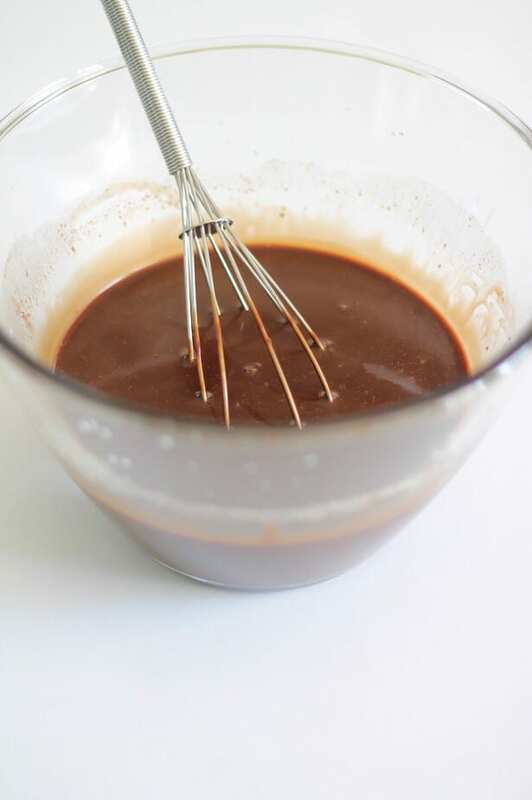 I added some sugar for sweetness after I mixed the cream and chocolate together so that may have been a problem, but after really looking into it and looking at a few other websites, I think you may have left out a step or two accidentally. 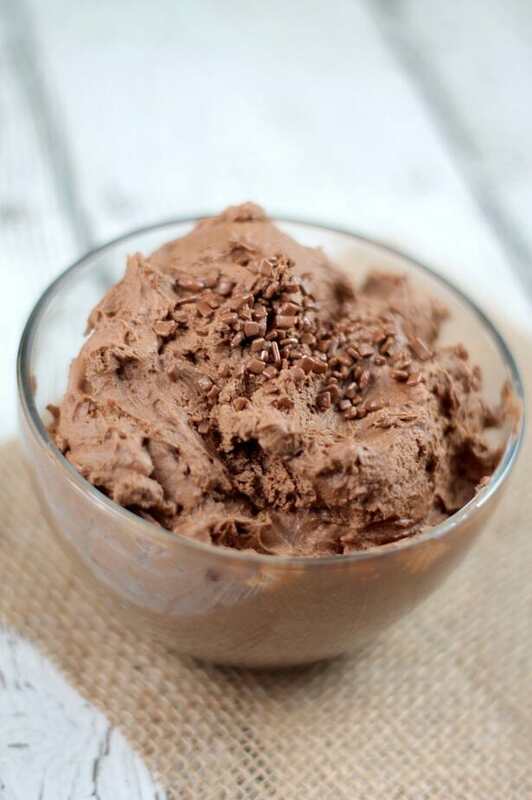 I looked at this website, http://glutenfreefix.com/two-ingredient-chocolate-mousse/, and they said to whip the cream into peaks and to also warm up the chocolate a little. I don’t think you could get the peaks in your pictures just by following your directions. Just thought I should let you know. 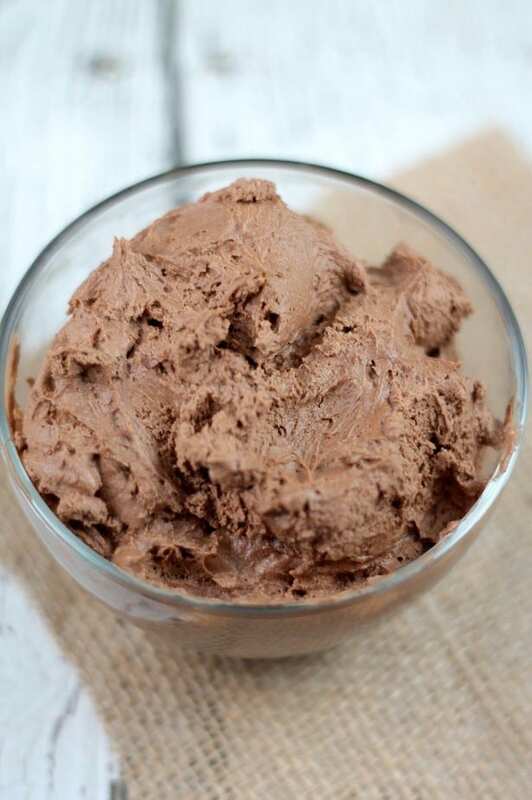 This is whipped ganache. I’ve made it tons. If you don’t let it cool enough it won’t thicken/ whip forever and if you leave it to long it has to warm a little to soften enough to whip. An electric mixer or stand mixer works better then by hand. Its super yummy and makes the best icing on chocolate cake. How many servings per recipe? Can we leave it to sit more than an hour before handmixing, in case i have to run out? Oh my goodness this look sooo delicious! I want it! Oh my, this looks amazing! Definitely need to try this! If you put it in the refrigerator before use, you have to take it out to warm/soften a little. This looks easy and yummy! I could use this fluff on a number of things. Can I have a big bowl of that for breakfast? It’s a chocolate kind of day! Sooo easy and sooo yummy. Horrible for my waistline, but who cares! That looks so easy and I could probably just eat that with a spoon! I use the same ingredients when I make chocolate fondue, isn’t that funny? Pinned this yummy dessert! I want to make this right now–it sounds so good. Thanks! This looks delicious! 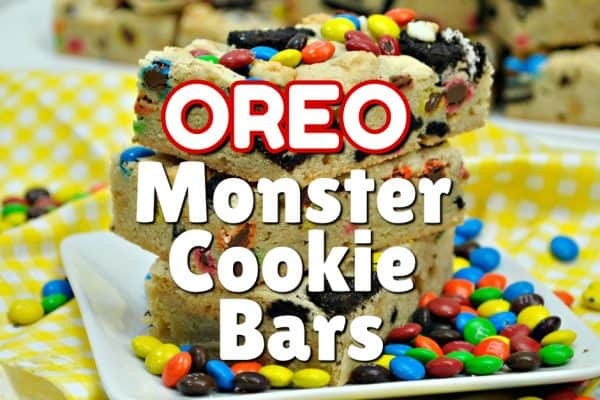 I love that it is only 2 ingredients and easy to make too. Very dangerous. Beware! One person could eat the whole thing and be sorry afterwards…..
this looks soooo good. just wish it was healthy!